Today's world demands that we bring our kids up to meet the day to day challenges of modern life with the right attitude. 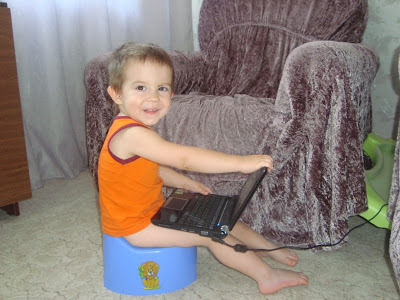 This entry was posted on Tuesday, January 24, 2012 and is filed under attitude, kids, modern life, potty training . You can leave a response and follow any responses to this entry through the Subscribe to: Post Comments (Atom) . Question is... Why can't the adults? Answer is... Kids have not been perverted by religion!